A Moorish retreat in Putrajaya’s Botanical Gardens. Uniqueness of this attraction Also known as Astaka Morocco among the locals, this pavilion was built to signify the strong ties between Malaysia and Morocco. The walls are adorned with Islamic calligraphy and intricate carvings that were made by skilled artists in Morocco and transported over to Malaysia. There is an incredible amount of detail and you’ll notice that no two rooms are the same. Here, you will find four different galleries with each having distinctive features of Morocco’s oldest imperial cities. Once you’re in the pavilion, you will also notice a slight scent of cedar wood as it is used mainly to build doors, wall panelling and some furnitures within the space. There is also a water feature that leads to the main building, past the impressive entrance archway. Overall, this will be a great discovery for those who appreciate good architectures and cultural designs. Other things to do here? 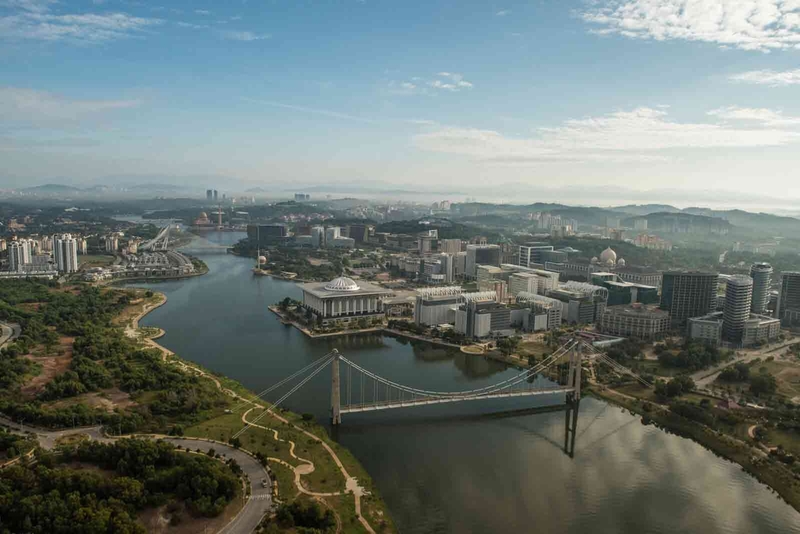 Located 2 minutes away by car from Moroccan Pavilion, you can also hop on a cruise of Putrajaya Lake near Dataran Putra for some sightseeing tour. Here, you can also get to enjoy a beautiful view of Putra Mosque from the water. What to bring home? This place is a photographer’s paradise. Bring along your best camera and grab the chance to snap some aesthetically pleasing photographs to show off to your friends. Getting around From Sinar Kota, Kuala Lumpur, take Cityliner bus #868 from to Putrajaya. If you arrive in Putrajaya by train or other means, you may use the NadiPutra commuter buses to get to the Botanical Gardens. The pavilion is located within the gardens’ grounds. The interior is quite small, so don’t plan a whole trip just to see the pavilion. Spare some time to enjoy the rest of the Botanic Gardens as well. There are three separate zones in the pavilion: public, semi-public and private. The private zone is the king’s court and only special guests or VIPs are allowed to enter. If you present your Student ID, you can enter the place for RM1. Otherwise, entrance fee is charged RM3 per adult. There will be additional charges if you’re planning to shoot for photos or videos here. Do enquire at the entrance. This place is one of the locals’ favourite spots for wedding photoshoots. It would definitely be a great idea to shoot your pre-wedding photos here too! Be captivated with its beautiful aesthetics, design features and grand illustrations of Moorish architecture. A perfect place to get Instagram-worthy shots!